Wouldn’t you love to have a calendar of all the major deadlines and events you need to keep your eye on for college admissions? Well, here it is! 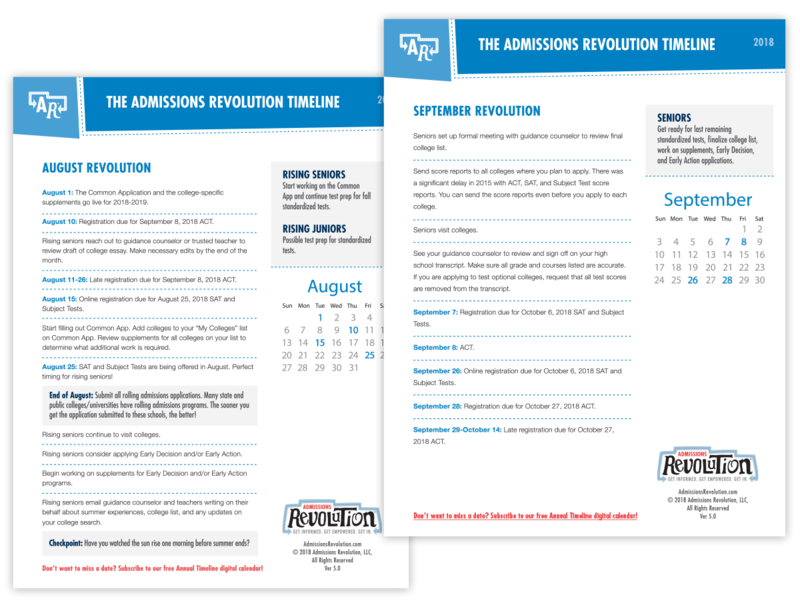 Our most popular resource, the Admissions Revolution Annual Timeline, has been updated to keep you on track for 2018 and 2019 and help you navigate the overwhelming college application process. Get Informed. Get Empowered. Get In.